In August, we went to Lagoon. Ava was thrilled to go and loved every minute of it. 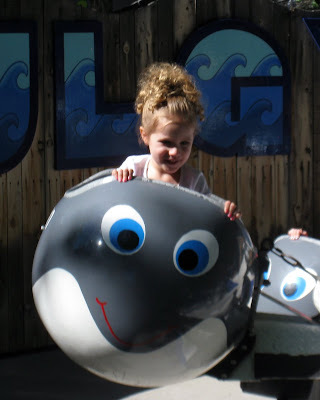 She was so excited to go on all of the rides and see all of the shows. Here she is on her first ride of the day. It was a kid's ride that shot straight up in the air and then came falling down, repeatedly—she screamed the entire time. After getting off of it, she told us (trying to sound brave) that it was fun, but that she didn't want to go on it again. Christian was such a good baby and was happy sitting in his stroller for much of the day. 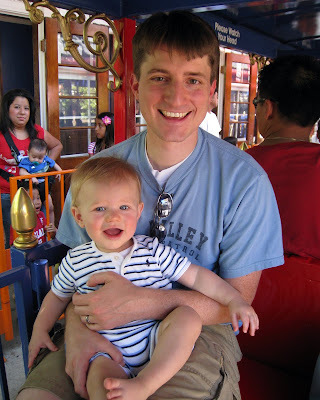 His favorite ride (and really one of the only rides he was able to go on) was the train. He loved it! Ava was excited to go by herself on the whale ride. 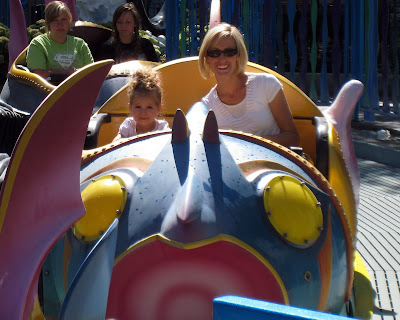 However, Ava's favorite ride was OdySea which she called the "Under the Sea" ride. She went on this ride many times and was so excited to take Granny O on OdySea for her last ride of the day. 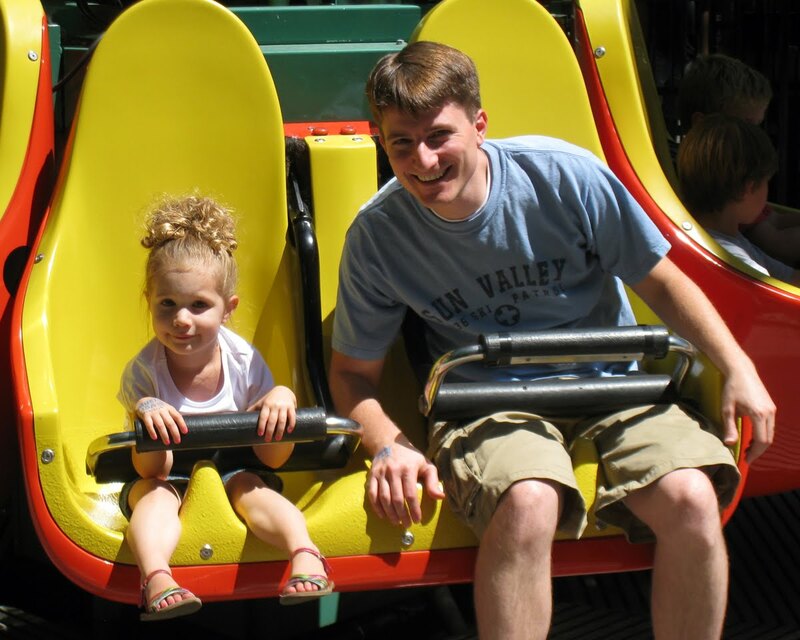 This is a picture of Ava two years ago on the ride. 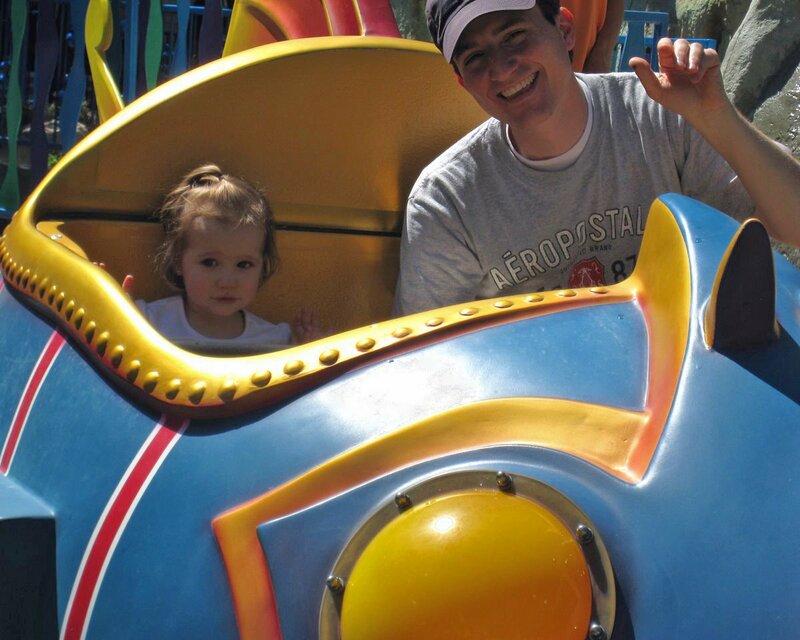 She has grown so much since then, but she still loves the same ride. Ava was very excited that Zach was able to come to Lagoon with us. 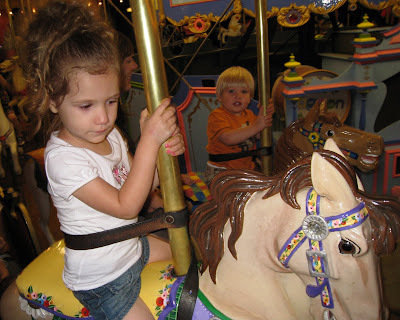 Here are the two little cousins on the carousel towards the end of the night. oh how i miss ava! see you guys in about 2 weeks.